Is this a laptop designed for gamers? Totally agree Chris. Picked up a FX503 this time last year for £709 which has the 1060 3GB. Cold from me. When 1050ti deals are regularly popping up at this price or below it's NOT good value to be buying this, even less value when you consider 1060 deals have been popping up relatively close to this price and likely will get even cheaper now that people are pushing the RTX lines. Not much of an upgrade especially in gaming, also you'd need a new motherboard, pushing the overall cost way beyond the point of diminishing returns IMHO. If you're not in a rush, at this stage it's worth waiting ryzen 3, at least for the probable sales on the current product stack. Would this be a decent upgrade from my i5 7600k? Am trying to decide if I should stick to intel or wait and swap my board for Ryzen 3000 when that drops..
2080TI might be overkill with this processor. Check the reviews. I think 2080 with this would be fine for 1440p gaming. So are any of the remaining laptops worth it for graphic design work? The good thing about these machines is: they come with 12 months warranty. And as you said - they are decent components, meaning a lot of years worries free. And even if something fails after 12 months you can get replacement very cheap - for instance PSU for ~£20... with 12 months warranty. I usually buy brand new IT equipment however I am unable to justify recent spike in pricing of some components. For instance not so long ago you could buy microserver from HP for £120 - now it costs 3x this. But we can see RAM and SSDs prices dropping, so hopefully things will be back to normal soon. However for the time being it is worth buying refurbished PC, for two reasons - saving money and saving planet from harmful waste by reusing it for as long as possible :). As Luke says, they go pretty fast and stock changes almost daily. However they seem to be sold out of EVERYTHING right now; perhaps mentioning them has caused a surge of HUKD'er visiting and purchasing, because there was plenty of stock when I looked a few days ago. When they have any, their stock seems to be all ex-lease business gear, so high quality components, if not cutting edge; so it wont set the world on fire, but is made so well it will run reliably for years to come. I would much rather buy s/h business class gear than brand new budget consumer gear for the same price. They usually go pretty fast. I recently bought from them Optiplex 7020 with i5 4590 for £135 but it still needed additional 4GB RAM (had some spare) and adding drive (had some spare SSD). Pretty sweet deal for office machine, whereas new ones of similar spec cost around 2-3x more. Do you happen to have a link to that Deal by any chance?, thanx. All your comments are ridiculous hyperbole and exaggeration... The GTX 1050 was one of the best all-round value and performance GPUs of the last couple of years and is still fine now. Gaming is a broad spectrum and doesn't automatically mean '4K at Ultra' which is what you've been suggesting. The GPU is 'average' compared to everything out there, but it's miles better than any IGP and it will run all games, even if you need to turn some graphics settings down. To me, and others, GTX 1050 is about the minimum (for this generation) you can call a gaming laptop and many others will agree that good discrete graphics is the baseline. The laptop is so well-priced that adding an SSD for £20-30 is not the end of the world. Haha ok so, for the record no an SSD isn't required I never said that but it is if you wish to have a better experience and reduce load times and hitching it is. Period. That GPU is average at best. You'd probably argue that eating in mcdonalds is the same as a Michelin star restaurant because, hey your stomach was full when you left but there's a clear difference in quality. If you want an ok laptop at a good price then this is fine but don't call it a gaming laptop. I don’t recall ever suggesting that. My comment was based on you saying that it will ‘never play the latest AAA games on ultra’ as if that’s the benchmark for anything... The fact is it will play AAA games fine which you can’t do on a basic Intel IGP system and the half-decent discrete graphics is what makes it an entry-level gaming laptop at a respectable price. This is barely mid range for a "gaming" laptop. Suggesting otherwise is fairly stupid and very misleading information. I didn't say it wasn't a good price or deal just that it was not fit for gaming. Graphics card - low end Processor - low to mid Screen res - poor for gaming SSD - Oh there isn't one What part of the above is good for gaming? Just different form factor, you wouldn't want to take your monster gaming laptop to a business meeting, conference room etc. Would look a bit odd. Laptop in this post £416. 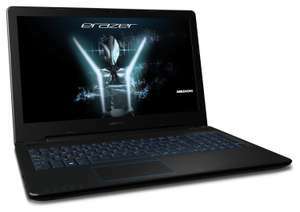 Laptop in my link £458. Difference = £42 If you can use the code, that would take 10% of them both, reducing the price difference to £38 (forgive the rough maths). So not £100 more expensive, nor £80 more expensive. Why should we trust the rest of your opinion when you cant do the sums?? However yes the backlit keyboard and the ssd are great benefits for the laptop the post is about, I said so in another post. However, the graphics card is a great benefit to the one I linked, giving people choice. Whilst you may be critical of the look and some of the components of the medion, and thats you prerogative, to say it is a poor laptop at this price is a bit much. 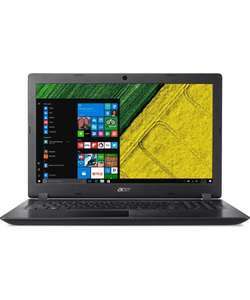 Find me another i5 - 8 series laptop with a gtx1050 at around £400 (£450 without the code) with full HD and a warranty. And yes, it would benefit from having an SSD installed, something that is cheap to do, its not perfect. Yes, £80 is almost £100 if the deal were to be as advertised. But that's besides the point, the Medion still looks to be a poor laptop. I agree about 5G, I personally thought 4G was a bit of a gimmick. When you say "degrading" i'm not sure if you mean the battery or the phone itself, but as far as i'm aware the battery wears out less if it's on constant trickle charge as opposed to frequent full charge and discharge cycles. And I'm sure a replacement smartphone battery would work out cheaper than the extra cost of a 5G variant laptop. True, that's why i wouldn't tether without plugging the phone on charge whilst tethering and would also use a portable power pack in remote locations without any power. But i also would not pay more for a 5G variant when there is an option to tether from a smartphone. 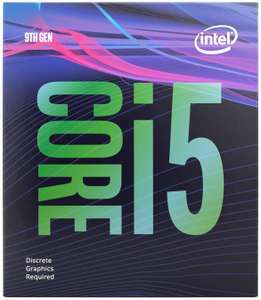 Never miss a 'Intel i5' deal again! The price is good and this laptop could be the one I returned back my issue was that GTX 1050 was not starting no matter where I force it and NVIDIA drivers do not detect it. Overall the PC is all plastic, very little air intake holes also made me thinking that there might be heat issues. Screen is IPS but miles away from my old MSI GE62 in colors(but hey it was also more expensive laptop than this medion) . Also no backlit keyboard. HDD is very very slow, I had forgotten how slow these things were with SSD prices being so low lately. It's not that bad, I'd be reasonably satisfied with a GTX 1050 for laptop gaming. This laptop has an Intel i5-7200U (2.5GHZ) with 8GB of DDR4 RAM 1x 4GB+ 1x 4GB (soldered) and a 256GB SSD. It also has AC wifi with Dolby stereo speakers and many more features. Actually, I should have qualified that AMD statement a bit more... If you're after ultra budget and light gaming (ie 1080p mid settings) then AMDs are fine, especially since in these cases they can be easily stuck under the TV (saving on not buying a monitor) and used as a browsing and streaming HTPC, since AMDs are, historically at least, lower power consumption and lower noise levels, ideal for the living room..
AMD comment aside :-p This is fantastic advice I really appreciate it. I'll get hunting! Really keen to get some ultra budget rig going, there's enough hardware out there to build something half decent. the graphics card is excellent and is top tier for 1080p 60hz gaming so if you have it playing through full HD tv or similar monitor then this is about the best matched card for this resolution and frequency, the more expensive higher performance cards are for use with a higher resolution or higher frequency monitor and so would be unnecessary and overkill for 1080p in the majority of cases. Bit cheeky to ask here, but is this Asus the one with all the thermal throttling problems? Anyone know what the returns policy is like on argos eBay? Can you return to a store or do you have to post it back and have to pay the postage fees? At this level, most games are more GPU dependent so having that GTX 1050 makes a huge difference. At sub £500 it is a real bargain. 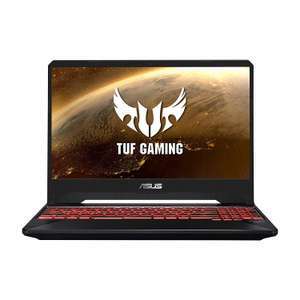 I got one of these a couple of months ago during the ebay black friday £50 off for 400 - found it to be a very nice laptop that fulfils all my gaming needs (1080p medium) for a nice price. It has a spare m.2 slot for an SSD and a spare ram slot (I've used both for a 256gb SSD and a further 8gb RAM :)) At 450 I would still buy it as it's a good price. Voted hot! If you don’t keep a constant eye on the outlet you will only get to see the dregs which no one wants to buy. In March 2016 just before BREXIT hit I bagged an XPS 6700, 24GB DDR4, 2TB HDD, 32gb SSD, Nvidia GTX 750Ti 2GB brand new for £582. Such a bargain, but you have to catch them as soon as they are posted. I don't know why people still suggest that you couldn't game over 1080p with such a high spec GPU. My GPU is onto a 1050ti and smashes everything I throw at it in 1080p. It can easily cope with a resolution or framerate bump! I've looked at the Dell outlet in the past and was very underwhelmed, Most of the stuff was still marked up too high. Just try looking up the model number that's displayed on the page as argos are poor/ not always correct at descriptions. P. s There hardly going to sell a pc with only usb 2 when there's a 1060 card in it that was only released around 2+ years ago. Good deal but unfortunately I had to send a refurb Medion back to eBay/Argos yesterday as it was failing to boot constantly. Just waiting for my refund and hopefully no problems. Last chance for LAPTOP40 today apparently - just as an info point - for some reason this does not have a backlit keyboard, though the other cheaper i3 does. Seriously tempted by this one, anybody got one who can give a few pros and cons? Does anyone know if you would be able to play football manager on this please? Any extra room in this to add ssd? GPU is better than every £600-700 laptop that has no gpu only integrated intel. It will play Fortnite, LoL, Dota2 at 1080p 60fps. You can sell the 1tb drive for £40~ and replace with an ssd. agree, its a very reasonable price, but my concern would be that a user buying this and expecting it to be able to play games at high(ish) settings with a decent frame rate might regret the purchase at later date. Is there any reason this would lack against the Asus (John Lewis) posted earlier? Thanks! I also can't seem to find if this has an IPS screen, which I know is quite important nowadays but if I'm missing anything else it'd be appreciated! I been waiting ages for a good gaming laptop i5 7/8th gen gfx1060 and 8gb ram to drop in price!!! !